Jordan Richards also starting at safety with Devin McCourty. No Chung or Harmon. These two teams just don't like each other. Gronkowski makes a ridiculous catch, then gets called for OPI. The fans, they do not like the call. I'll have what Dan Quinn is having. Bryant's field goal is blocked by Cassius Marsh. #Patriots ball. Cassius Marsh with the block of Bryant's FG attempt. Patriots take over. Defensive battle shaping up here, just like we all thought. Another penalty for Solder. Called for false start. 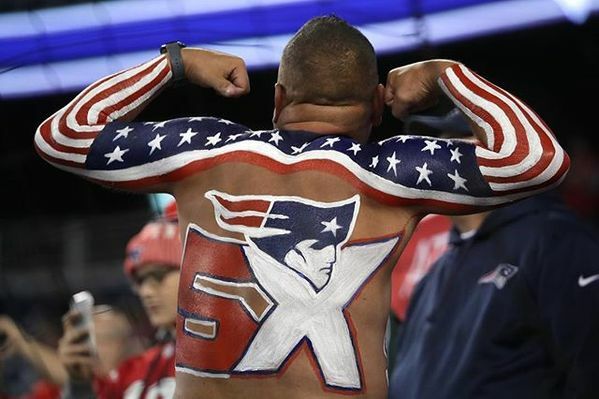 #Patriots touchdown. Jet sweep to Cooks. Gronk clearing the path. Brandin Cooks on the 11-yard jet sweep TD. #Patriots strike first, lead, 7-0. Falcons LB Duke Riley (knee) is questionable to return. Rex Burkhead, getting first action since Week 2, picks up nine yards. 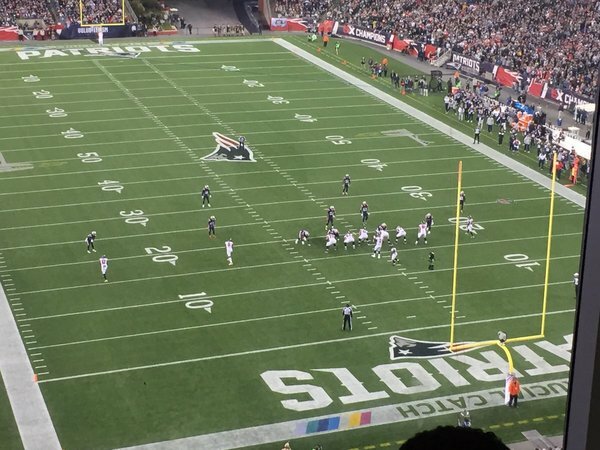 Gostkowski's 29-yard field goal is good and #Patriots expand lead to 10-0. Is Adam Butler twinkle toes now?